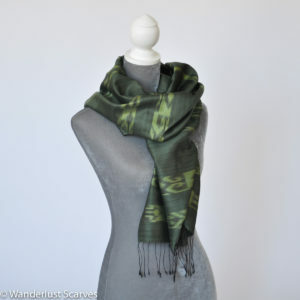 Every now and then you come across a very special place, and I did just that when I found Studio Naenna in Chiang Mai this year. 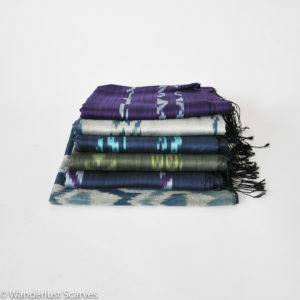 Luckily for you I was able to bring some of their gorgeous handmade scarves home for you. 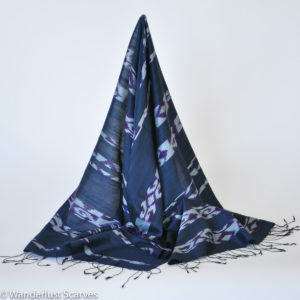 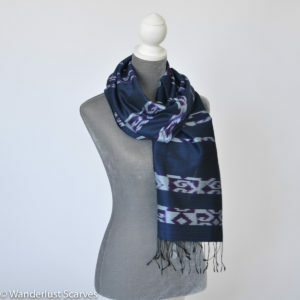 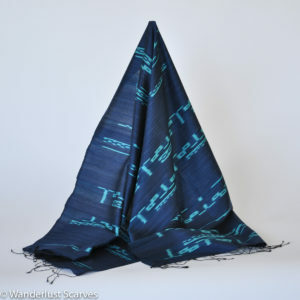 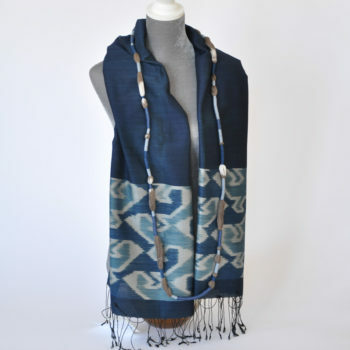 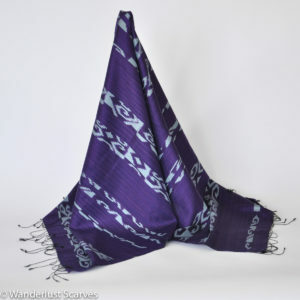 These special scarves or “stoles” as the Thai’s referred to them, are handwoven and most are dyed with natural indigo and other plants, barks and seeds. 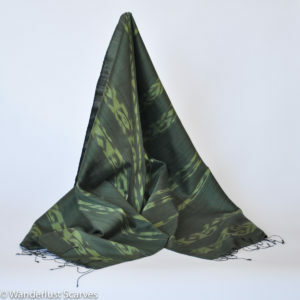 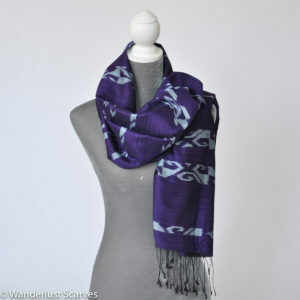 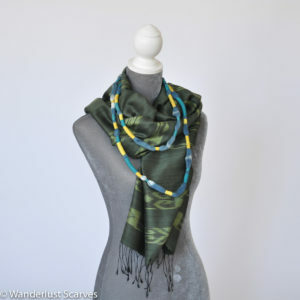 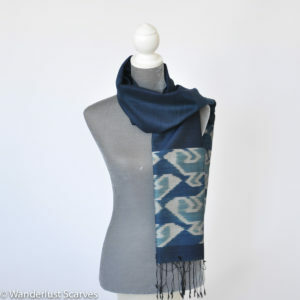 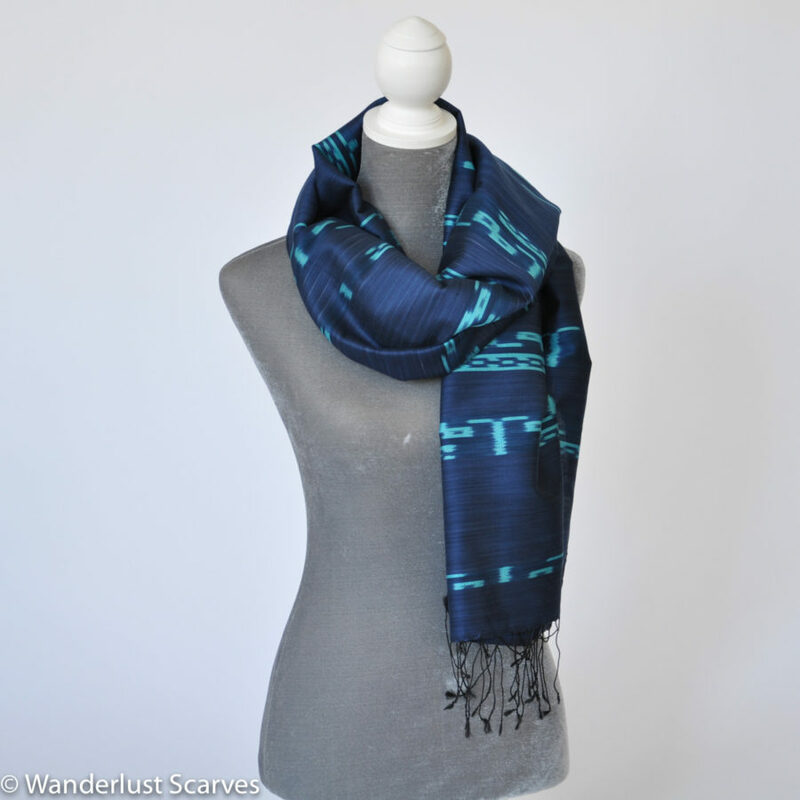 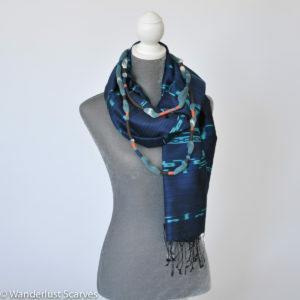 Made of silk and cotton, these scarves have a lovely sheen and each has a slightly different pattern, due to the handmade nature of the product. 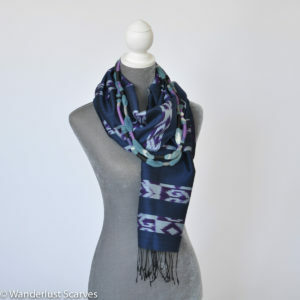 Ikat is a pattern produced by tying off certain areas before dying the threads, then woven in to the pattern we have come to recognize as Ikat. 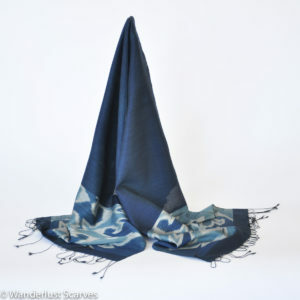 Tell the world you don’t want to be ordinary, make a statement with one of these extraordinary scarves.